I recently listed this Triton 1000/2 Personal Submarine for Sale. It’s a 2010 model from an experienced owner who is upgrading to a higher-capacity submersible. The list of upgrades is long, and it got me to thinking about just how incredible the experiences will be for the next owner. 1: Making GoPro memories. 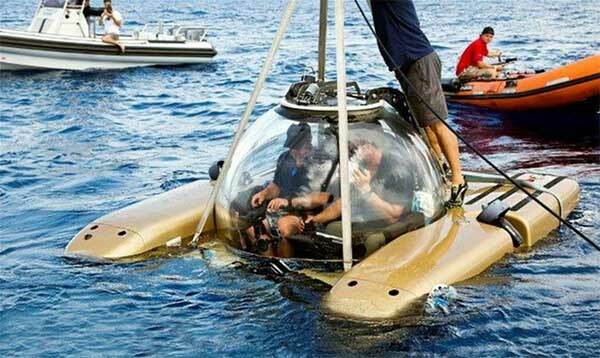 This submarine has a special housing that lets you take the GoPro down to 1,000 feet. You can take countless photos and up to four hours of continuous video. The footage, with this vessel, can be of places that nobody in the world has ever seen before. 2: Chase lionfish wherever they hide. Everybody knows these invasive-species predators are a scourge on our beautiful oceans and reefs. I once got to chase one at about 300 feet in this Triton submarine. I tried to squash it, but it got away. 3: Immerse yourself in history. 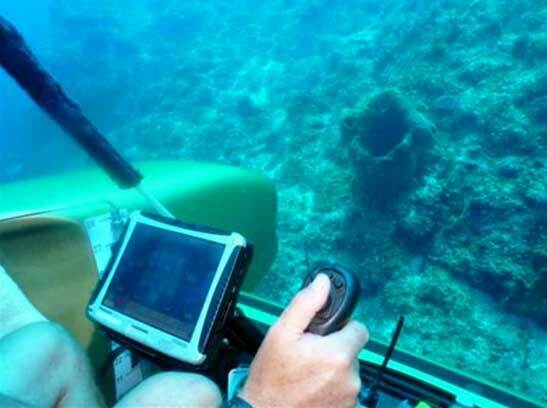 A favorite personal submarine experience is in Italy’s Aeolian Islands, where you can dive into the world of sunken antiquities. Pre-A.D. vessels, sunken cities—there are numerous opportunities to discover. 4: Work with scientists to figure out the oceans. It’s hard to believe, but officials say humans have explored only 5 percent of the world’s oceans. Just 5 percent! With this Triton 1000/2 personal submarine, you can work with scientists to collect samples for things like the Ocean Genomics Project, which is trying to make sense of genome sequencing under the seven-tenths of the Earth’s surface that is covered in water. Project Baseline has a five-year mandate to “mow the ocean’s lawn,” to create a baseline map of our oceans with citizen scientist divers, ROVs and personal submersibles for future generations. 5: See where human eyes have never seen. The owner of this Triton 1000/2 personal submarine outfitted it with seven Deep Sea exterior LED lights. 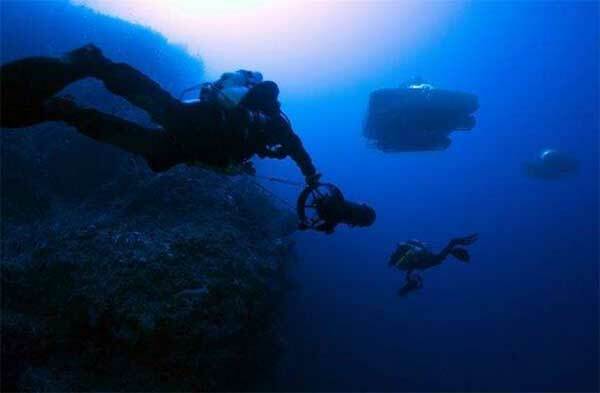 They make underwater exploration incredible. When you get down to, say, 300 feet and sunlight is vanishing, these LED lights show you a whole other world here on Earth. 6: Explore fantastic shipwrecks. One of the most amazing places I have dived is off the North East coast of Malta, in the Mediterranean Sea. Scuba divers can see some of what’s down there, but in a personal submarine like this Triton 1000/2, you can stay down longer, shine lights on wrecks to see them better, and really get a stunning view of all the colorful flora and fauna. 7: Dive in your Tommy Bahamas. Anybody who has spent time in a Triton 1000/2 will tell you that staying comfortably clothed—with surround sound, air-conditioning and a dry environment—is an integral part of the sub experience. Capt. Nemo had it right in 20,000 Leagues Under the Sea. Go in style, and enjoy the ride! Want to know more? 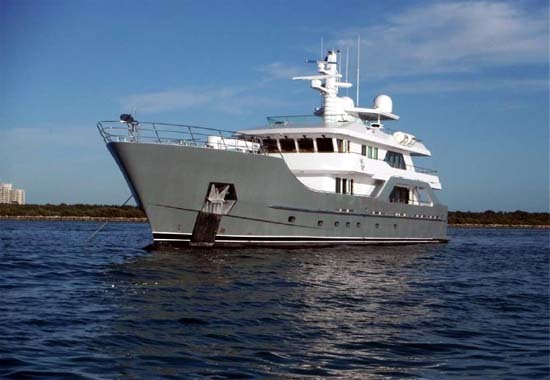 Call my cell at (305) 216-8682, or email me anytime at stever@alloceanyachts.com. Thanks! The phrase “brokerage submarine” may sound funny, but that’s only because it’s new. Maybe 100 personal submarines exist on planet Earth today. Maybe. Companies making these subs didn’t even exist 10 years ago, and most expedition-yacht owners didn’t start ordering them until five or seven years ago. Today, maybe 10 or 15 personal submarines are sold each year. The owners are members of a pretty exclusive club, watching as new-model submarines are getting more sophisticated, and they want to trade up—creating the world’s first brokerage market for personal submarines. 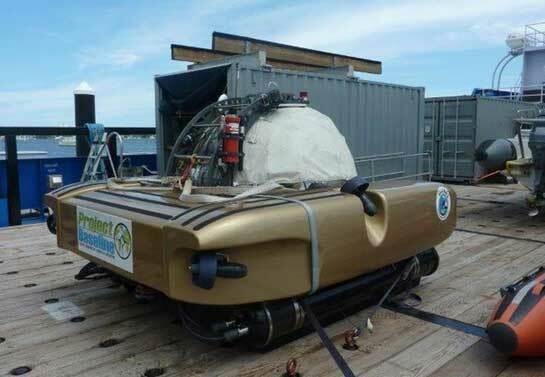 One example is this Triton 1000/2 personal submarine that I recently listed for sale. It was built in 2010, and its owner is trading up to a higher-capacity sub. Now, I could give you a sales pitch about how this personal submarine is just like the best expedition yachts on the brokerage market, with a boatload of upgrades, a package that includes thorough spare parts, extensive training, and a history of use that proves this experienced owner has optimized the sub’s functionality and systems. All those things are true. Question 1: With any personal submarine, you want to know how it’s powered, and for how long that power will last. In this case, the Triton 1000/2 has quad Tecnadyne electric thrusters with 120-volt DC power and can stay down for more than four hours. I like to think of it as plenty of time for seeing amazing sights between breakfast and lunch. Question 2: You always want to know what kinds of upgrades the owner has added, because once you’re at 300 or even 1,000 feet below sea level, you might want to turn on some lights or grab a sample of something to bring back to the surface. 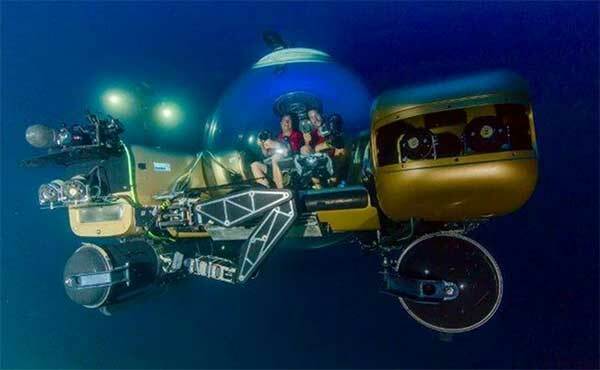 With this Triton 1000/2 personal submarine, the owner added a manipulator arm, seven Deep Sea exterior LED lights, and a camera housing that lets you shoot photos and hours of videos with a GoPro down to 1,000 feet. These are smart add-ons that let you make the most of your dive time. Question 3: It’s also important to ask about safety systems when shopping for a personal submarine. With this Triton 1000/2, there are two sub-tracking and navigation systems, which means somebody holding a computer on the surface can see exactly where the submarine is underwater. Inside the sub itself are two Panasonic Toughpad computers that monitor air quality, carbon dioxide and many other important metrics. Call my cell or send me an email if you’d like to do a dive-before-you-buy in the Triton 1000/2 that I have listed for sale, or if you’d like to know more about personal submarines in general and the extraordinary expedition yachts that transport these subs to places no one has gone before!